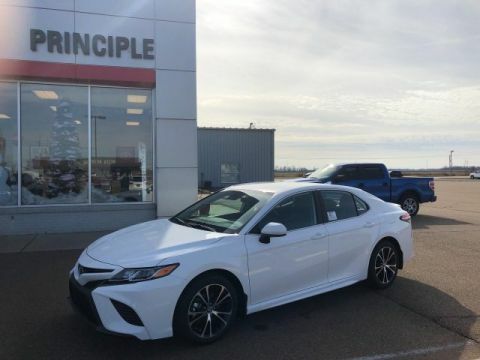 The 2019 Toyota Camry is the daring side of dependability. 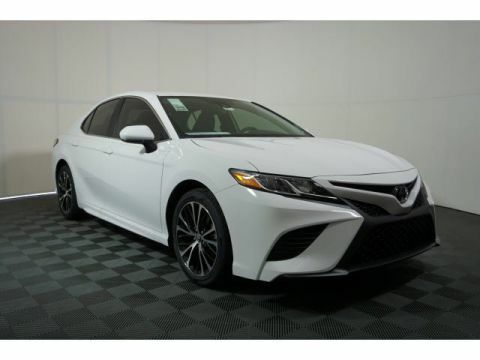 Let the aggressive lines of the available gloss-black grille draw you in, while the available sport mesh insert projects a finely machined appearance. Add to the allure with the lustrous black hue found on the available 19-inch alloy wheels. Standard bi-LED combination headlights add a stylish touch, stretching outwardly from the thin upper grille, and with the daytime running lights, they add an illuminating touch to the expressive look. Don't forget about the back. The Camry's available LED taillights feature an eye-catching organic shape that flows seamlessly into the rear bumper. The driver-focused design of the interior starts with the perfectly-placed steering wheel controls, so everything you need is right at your fingertips.. The available 10-inch color head-up display projects important info, such as your speed, turn-by-turn directions and more, right onto the lower portion of your windshield, helping you stay focused on the road. It also features smart key with push button start and 15.1 cu. ft. cargo volume with the seatbacks up. 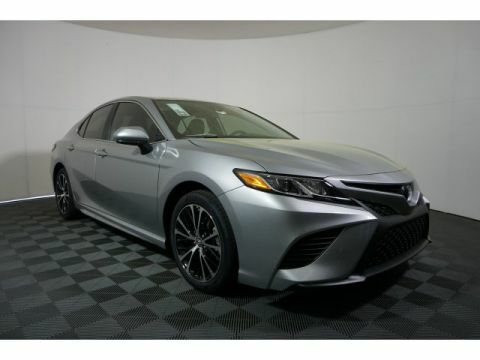 The Camry comes with a standard 2.5-liter 4-cylinder engine, also available is a 3.5-liter V6 as well as a 2.5-liter hybrid engine. 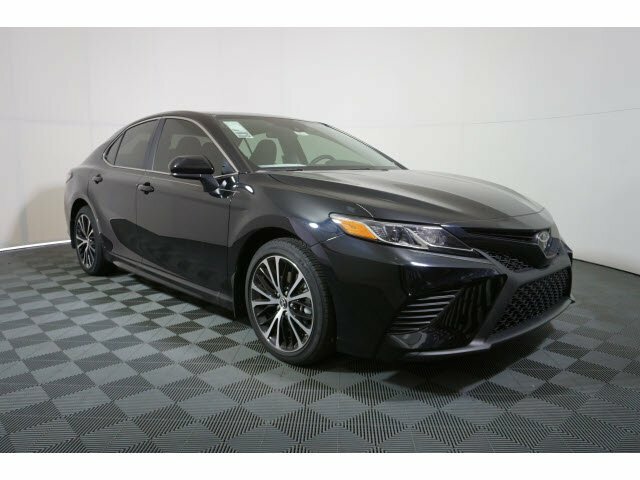 The Camry connects you to more than just the road, with technology features including available Apple CarPlay compatibility, an 8-inch multimedia touch screen, WiFi connection and remote connect. You'll also find a comprehensive suite of safety features such as intelligent clearance sonar with rear cross-traffic braking, bird's eye view camera with perimeter scan and blind spot monitor with rear cross-traffic alert.